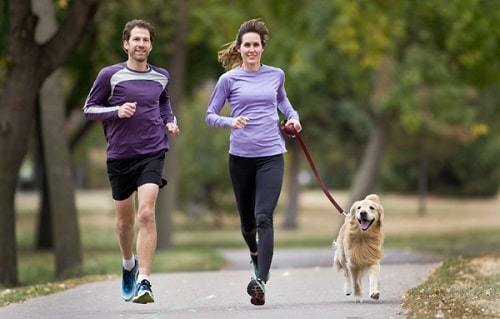 Let us face it; it is not every day that you can take your pooch out for a walk down the streets or a run in the park. Several factors might contribute to this, your busy schedule to and from work, the weather being too cold or rainy, any of them. But research shows that the major factor that causes a disruption in the puppy exercise cycle due to change in weather condition. This is heightened by the fact that many dog breeds are “thin-skinned” so to speak and cannot withstand the harsh conditions of your native country. These dogs usually tend to be the imported canines from the warmer climates, where they feel perfectly at home. 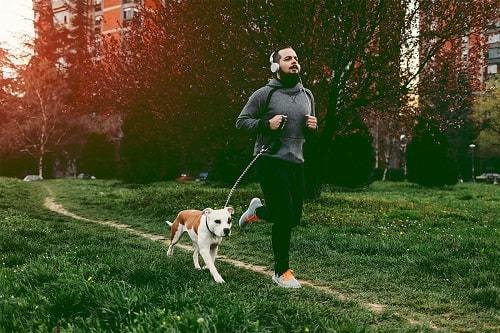 Another reason why you might not want to walk your pet down public thoroughfares is that there are rising incidents of unleashed dogs that are overly aggressive and might put your beloved in harm’s way. It’s pretty clear to every responsible dog owner that his or her dog requires & needs dog walks regular , and that too, several times a day. 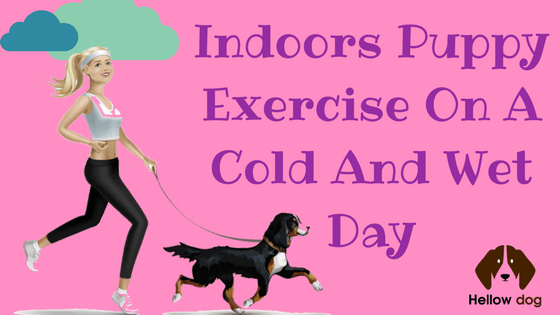 If the case is such that due to the ambient weather conditions, it’s quite impossible to walk your dog, these indoor exercise tips for your dog will come in very handy. This is the age old and time tested method of tiring out your dog and its health. Just like advocating the use of stairs over elevators for the people, this is the perfect calorie burner for your energized dog, and the shape of the stairs make them use different sets of muscles in their legs, thereby strengthening them too. Vary the speed at which they run by sometimes enticing them to run up the stairs in anticipation of a treat, and you’ll see that they respond quite well to it. Make your pet do quite a few rounds on the stairs to work his muscles out. Use your imagination to set up an obstacle course indoors for your dog, preferably in an open space like the living room, with items like hula hoops, cushions, small stools and the like in efforts to engage your dog indoors. But you need to map out the course of the dog through the obstacles and lead him through it, as he’s not trained to do it. This stimulates the dog both mentally as well as physically. This is a novel concept. You must be having a fair idea of what your dog likes best as a treat; use this knowledge to hide a few of them around the house. You could leave them behind doors, under a table or the bedroom rug and leave it to your pet’s keen sense of smell to guide him to his treat. Not only does this make him more active, but it also familiarizes you with hidden nooks and crannies, something useful if you happen to lose your car keys. Treat dispensers are also available in the market where your dog has to bully and push around the toys to get them to dish out treats. This is also a wonderful way to keep them physically engaged, indoors. Contrary to popular opinion, fetch does not necessarily have to be played on a big field with acres to gambol on, as shown in the movies. You can quite as easily engage your dog in this ancient workout within your house, indoors, and expect the same results. In fact, with the number of obstacles he has to navigate to get to the “fetch” item and return it to you, he is working out more muscle groups in his body than an average session in the park. Also, these indoor sessions make the dog mentally agile and sharp as they tend to get more and more involved with you during play. Yes, you heard it right. This one is about putting your dog in the backseat and heading out for a drive, but do use car restraints on him. Let him enjoy the drive and relax in the backseat. He’ll enjoy the outing, and it will go a long way in alleviating his pent up energy as he takes in his surroundings within the comfortable and warm interiors of the car. The dog treadmill is undoubtedly one of the best assets you can have at home for exercising your dog. 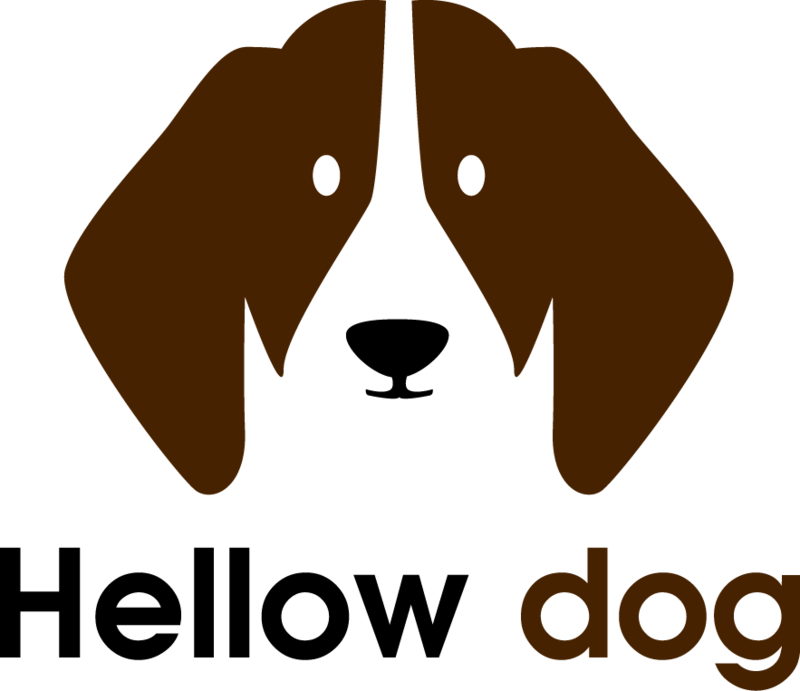 The dog should first be properly conditioned to the dog treadmill, and you can do that by running it yourself. Very soon, he’ll get the hang of it and be eager to jump on, knowing it's safe because you’ve been on it. Start off by putting your dog on the dog tread wheel and give him a little treat. Follow this by starting the dog tread wheel at its lowest speed. Use the treats at your disposal to encourage him to continue walking, and you can also use the leash to guide him. But never tie the leash to the treadmill or dog tread wheel as it may wind up choking him inadvertently. Always keep a close eye on the dog for any signs of physical discomfort while he does the dog exercise program. Another trick is to stand before the dog in front of the treadmill and hand out the occasional treat to keep those muscles pumping and make him relaxed. 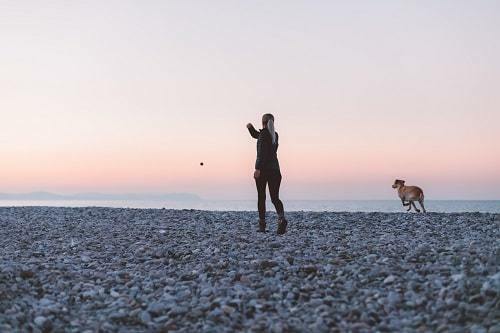 There are innumerable things which can be utilised in a game of tug of war with your pet, and it is a favourite with many owners. It increases the speed, strength, and agility of the dog. However, with bigger breeds be cautioned about the inherent risks, the dog is a domesticated animal for sure, but activities like these bring out the hidden predator lurking within. You need to be sure that you trust your dog and vice-versa to avoid any unpleasant incidents from occurring in the house. The efforts you put in to keep your dog engaged in indoor puppy exercise will benefit in strengthening the bond between the two of you. It goes without saying that the added benefits of indoor workouts for your dog increase him both in the body and the mind.